The next time you go to a meeting, you might want to consider leaving your iPad behind and instead taking along a pad and pen. That’s because a new study shows what many of us have suspected for some time: That we’re better able to retain and understand information if we write it longhand instead of using a laptop or other device to take notes. 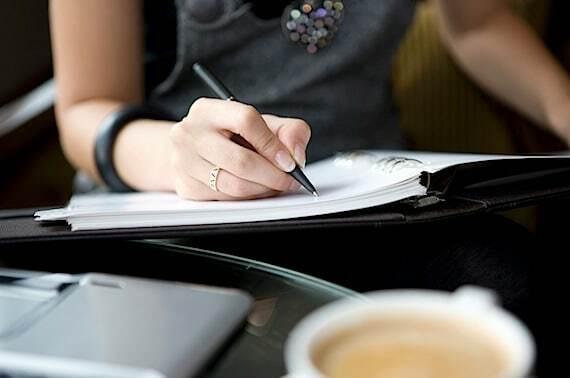 In three studies by Pam A. Mueller and Daniel M. Oppenheimer recently published in Psychological Science, it was found that students who took notes on laptops performed worse on conceptual questions than students who took notes longhand. Mueller, a Princeton University doctoral candidate, says that one surprising aspect of the study was that even though someone can take more notes via a laptop, transcribing those notes verbatim rather than processing information and reframing it in their own words is detrimental to learning. In other words, you may write slower than you can type, but you’re also listening, digesting and summarizing what you hear. This research may give bosses more ammunition when it comes to advocating that workers take notes by hand during a meeting to retain more (and to avoid the distraction of checking Facebook). It also may back up the complaint by managers that workers who don’t write down instructions or other information are sure to forget it later or make an error in their thinking. There's no better feeling than coming out of a job interview and feeling like you nailed it. You and the interviewer clicked, everyone seemed very impressed with your resume and abilities, and there was plenty of positive body language. On the other hand, there is no worse feeling than knowing that you messed up -- that somewhere in the interview you really bombed and possibly blew your chances of getting a job you really want. You head home,deeply depressed, ready to beat your head against the nearest wall for being such a numbskull. But before you put that knot on your head, consider that you may be able to salvage the situation. So maybe you called someone by the wrong name or showed up late for the interview -- you still may be able to recover and put yourself in serious contention for the job. Assess the damage. Take a hard look at how badly you may have hurt your chances, and whether it was a big deal -- or no one else really noticed. Act quickly. Don't give the bad impression time to sink in. Take immediate steps to correct it. Re-establish your qualifications. If you follow-up with a phone call or e-mail, use it as a chance to again outline your skills and experienced. Keep it succinct -- babbling will only make things worse. Apologize. Don't go overboard, but if you made a glaring error, then you should offer a sincere "I'm sorry." Use humor carefully. You can make the situation worse by joking about it. Prepare for the next shot. Chances are, you'll be given another chance to interview with someone else, so take steps to make sure you don't repeat your missteps. What suggestions do you have for recovering from a bad first impression? Meditation – or mindfulness – is seen by some as the latest new-age fad where people sit around on the floor humming with incense burning nearby. It’s not often considered a top business practice at highly competitive companies. But some of the nation’s largest employers are embracing mindfulness as a way to ease the stress of a workday for employees, improve leadership and hopefully lead to happier and more productive workplaces. One of those employers is General Mills, one of the world’s largest food companies, which supports employees as they pursue mindfulness. Sandy Behnken, corporate continuous improvement leader at General Mills, recently shared her experience with Anita Bruzzese in this closer look at mindfulness and leadership. AB: How did you come to use mindfulness at work? SB: I learned about mindfulness in September 2009 when considering development opportunities for the Women in IT networking group I was involved in at General Mills. At that time, several leaders at General Mills had received mindful leadership training. One leader in particular inspired me to learn more because I noticed how he always seemed to deeply listen when others spoke and then responded versus reacted to what was said. I wanted to be less reactive and to be a better listener. With the support and sponsorship of leadership, I coordinated a group of 25 IT leaders to participate in a seven-week mindful leadership course. Within a couple of weeks of the course starting I could see how my mindfulness practice impacted my interactions at work. I became more aware of the many stimuli impacting me and was better able to decide how I was going to respond versus react to them. AB: How long have you been using it? SB: I’ve been practicing mindfulness for the past 4 ½ years. To help strengthen my practice and support other practitioners at work, I lead a weekly drop-in practice session for General Mills employees. AB: Can you describe a work situation you felt like using mindfulness made a difference? SB: During a time in which I managed a large project for the company, having a strong mindfulness practice helped me when stress levels were high and we had more questions than answers. It helped me create the mental space I needed to bring clarity and focused attention to the work my team and I needed to accomplish. This mental space also allowed room for creativity to find answers to all those questions. AB: How to you think mindfulness has made a difference in your leadership? SB: I believe the biggest difference it has made is in my ability to deeply listen to what is being said. Whether it’s working through business plans or addressing personnel challenges the act of really listening and being open to what is being said has been invaluable. Is "You're Overqualified" an Excuse? There is good news and bad news about the job market. First, the good news: Employers are hiring more people, and for better-paying positions. Now for the bad news: Some employers are still too short-sighted when it comes to hiring decisions. The Washington Post recently profiled a J. Jennifer Johnson, a 36-year veteran worker with tons of skills but no job offers. The reason? Employers have a “psychological bias” when it comes to employment gaps on a resume. For some illogical reason they believe that the worker must be incompetent if he or she has gone for more than six months without work. 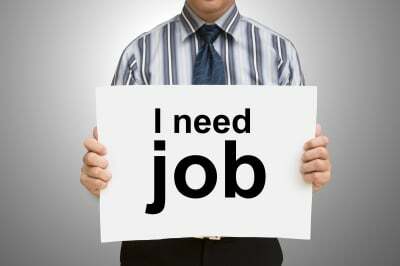 There are currently 3.2 million Americans who have been looking for a job for more than six months. They sometimes are able to find temporary jobs, or sometimes they simply stop looking because they’re so disheartened by the constant rejections. But the reality is that employers have put on blinders to these thousands of workers who are capable of being valuable assets to their companies. Using upspeak. "I think our sales will exceed expectations? Our customers seem to be loyal?" This sounds like the CEO isn't sure, or channeling a 13-year-old at the mall with friends. Being boring. I've seen company leaders talk about their products with the the enthusiasm of reading the dictionary. Not telling stories. No one wants to hear a CEO blab on and on in business jargon that would put an accountant to sleep. Let's hear some great stories about how employees came up with great solutions or why a new product is going to change my life. Talking in sound bites. I read the Internet. I watch television. A CEO who says the same thing, over and over, sounds rehearsed -- and a little lazy. It takes more work, but I want to hear a company leader coming up with new ways to inform and engage an audience. I think the reason I care what a CEO sounds like it because there are hundreds -- if not thousands -- of employees who are depending on him or her to tell their story. If the CEO can't generate enthusiasm for what the company does, how can an employee be expected to do the same?